ASSEMBLY REQUIRED – Attaching labels to water bottles. 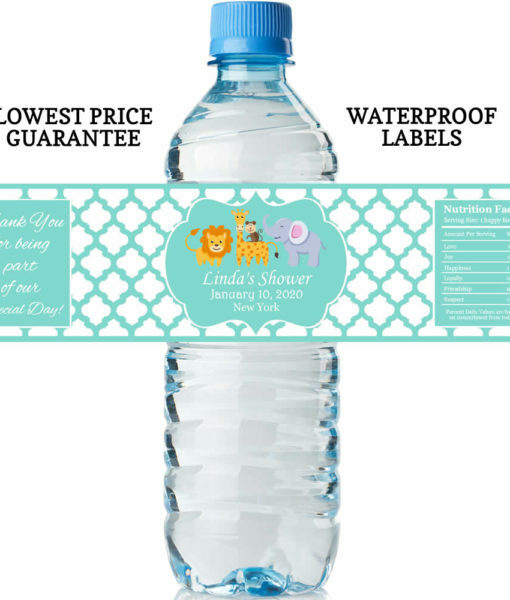 Remove existing labels on water bottles purchased from store, and apply these custom labels. NOTE: Designs and colors have to be split in sets of 5. 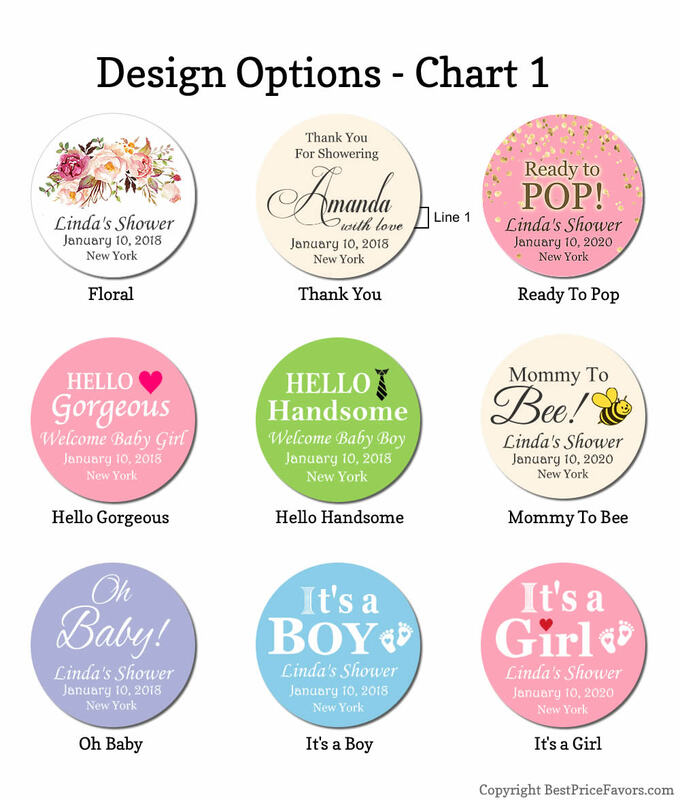 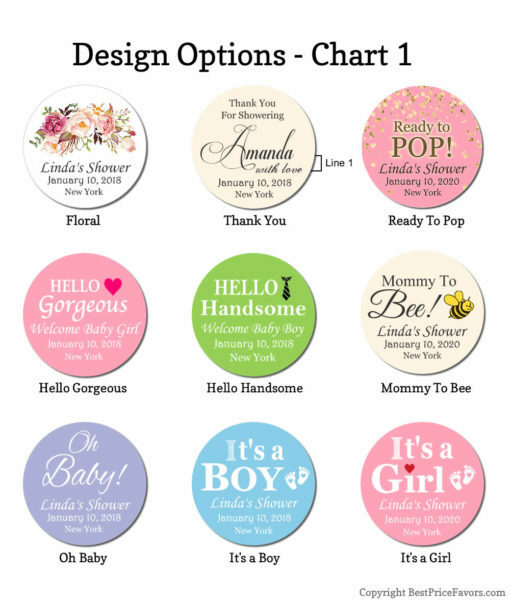 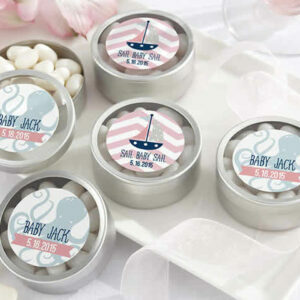 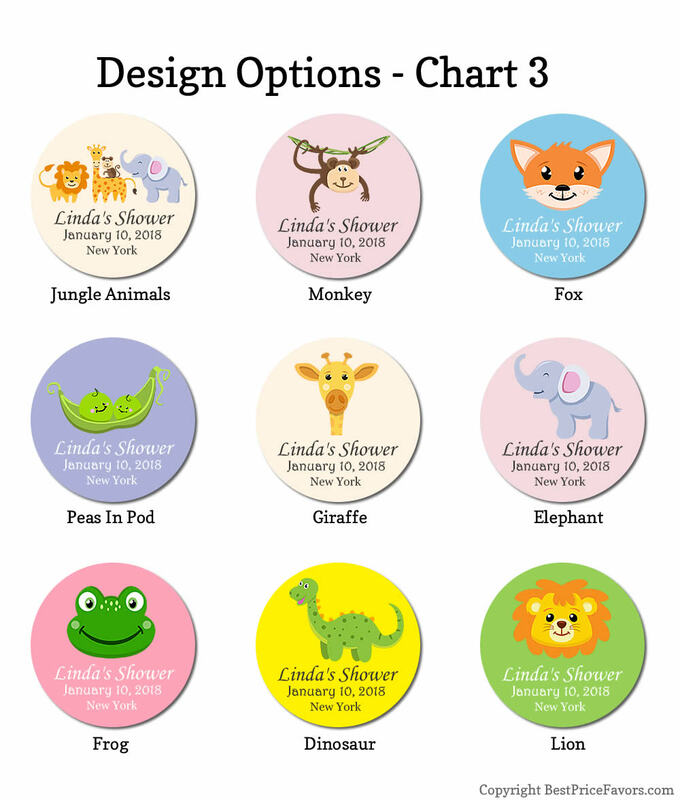 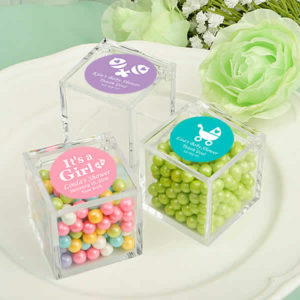 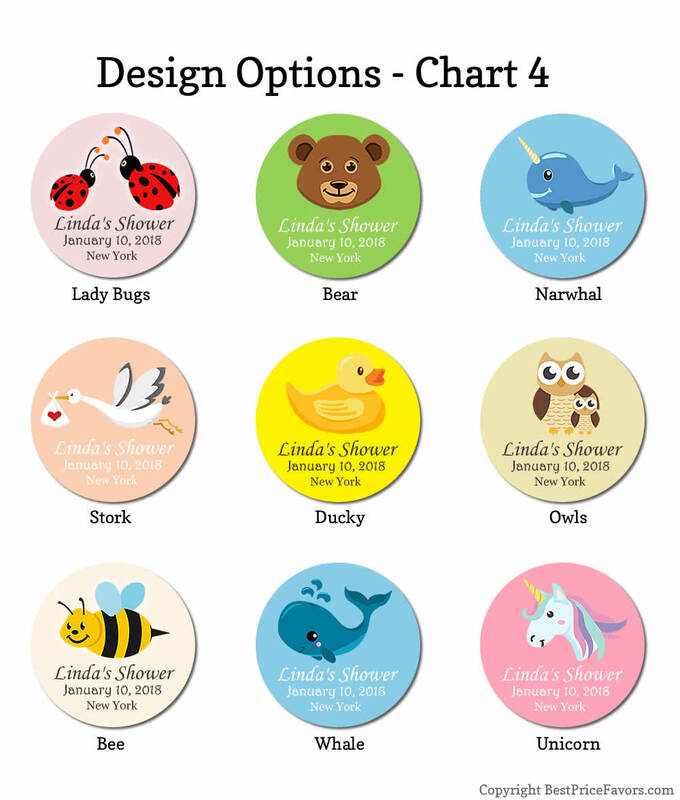 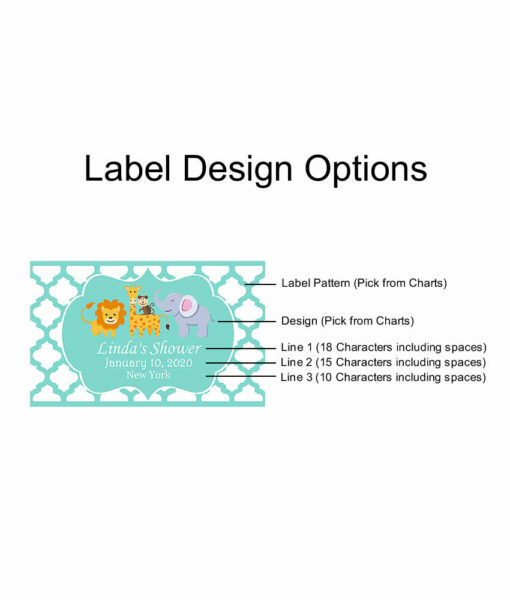 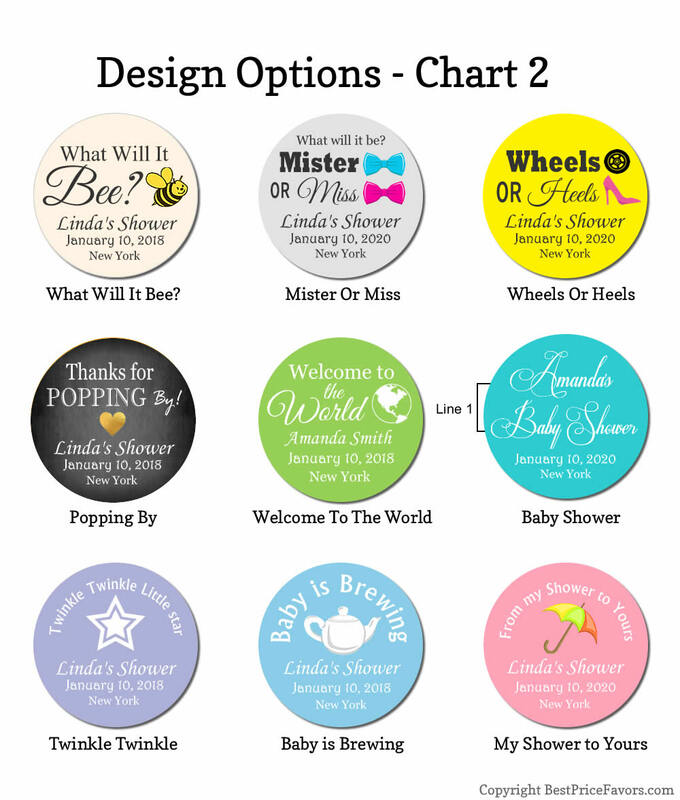 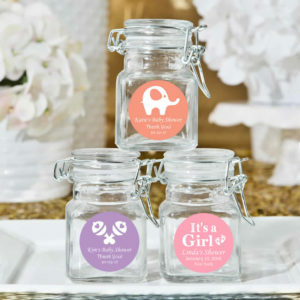 Contact us if you need help with ordering your baby shower water bottle labels. 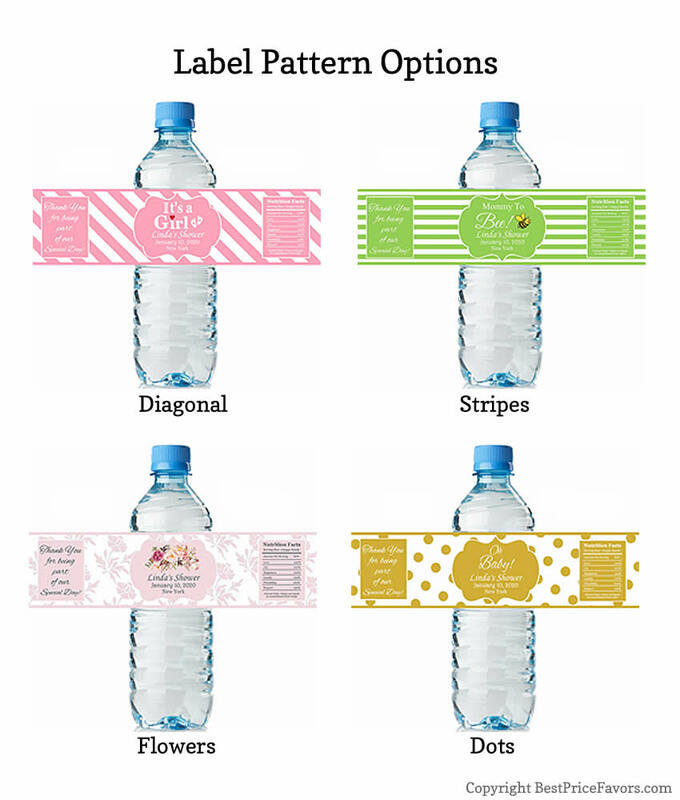 Beautiful labels. 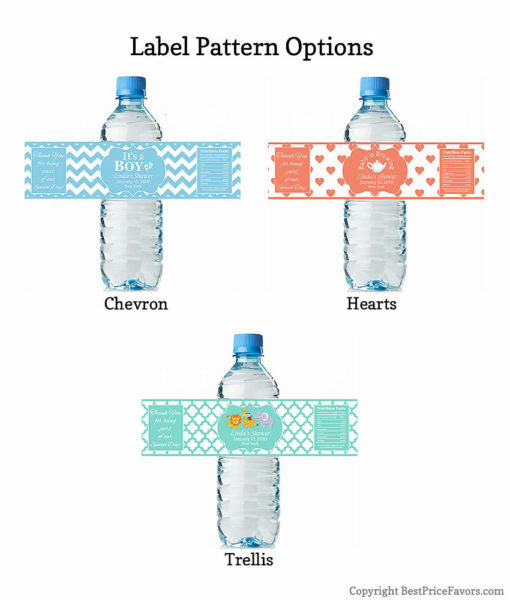 Love the print. 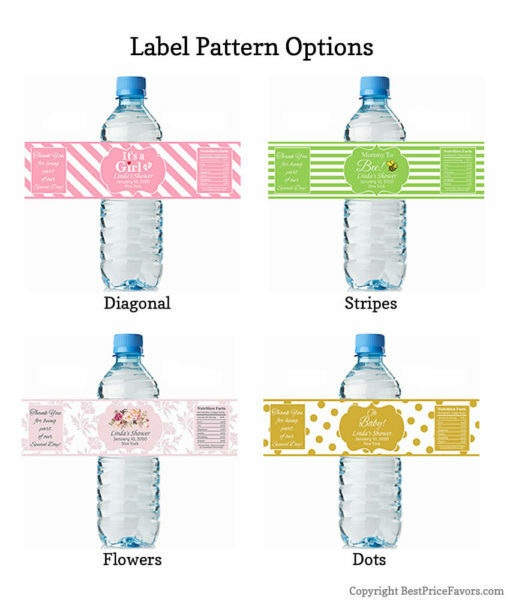 They also fit perfectly in regular water bottles we got from store. 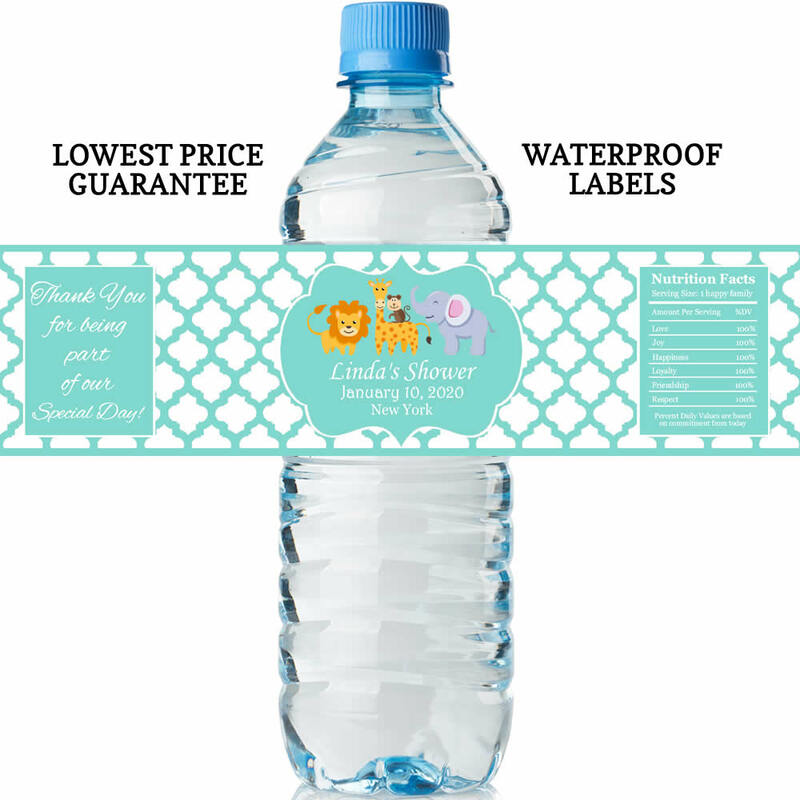 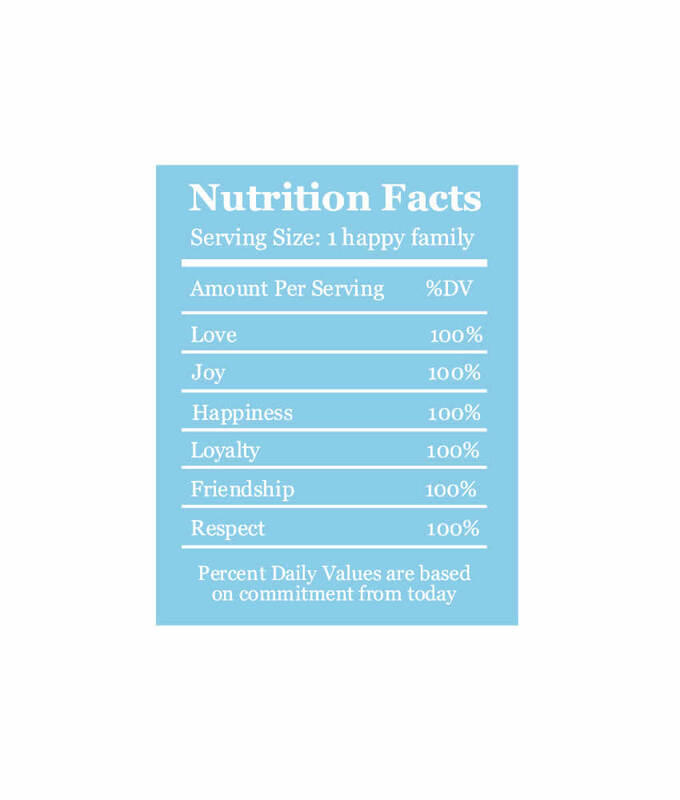 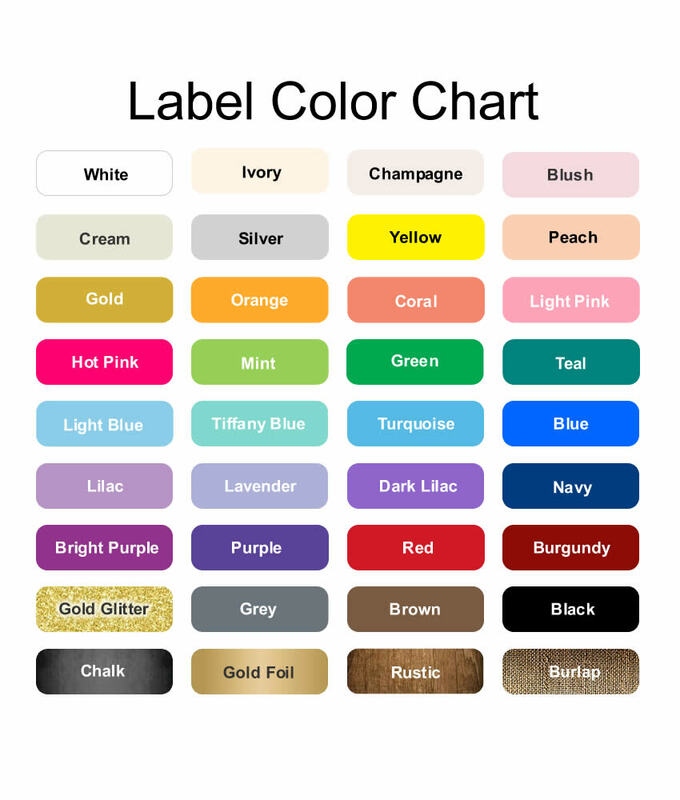 We will be placing the bottles in ice bucket, these waterproof labels are perfect for our party. Best price I could find online.